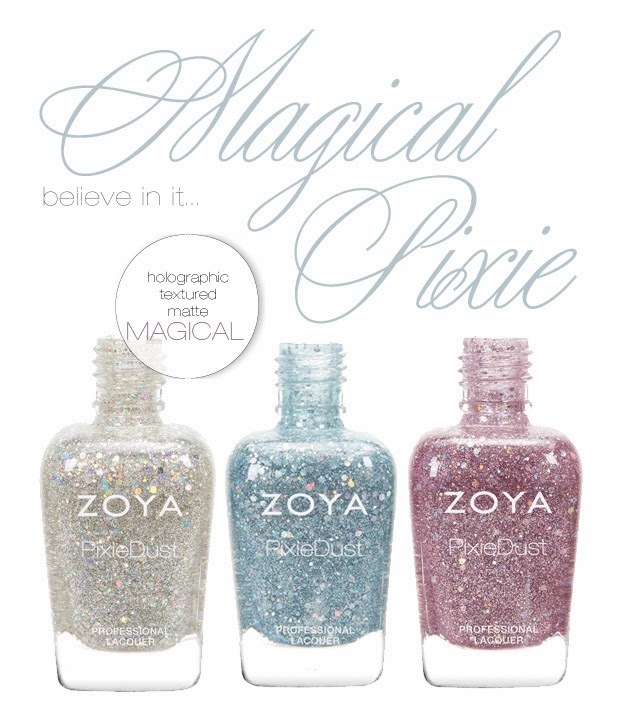 Yes, you read that title right, holographic Pixie Dust polishes! Check out the press release straight from Zoya below!!! I'm sorry, I still can't get over how gorgeous these are. Holo + Pixie....just I can't even. Now Zoya needs to create a pure holo line of polishes. I cannot wait for these! Which is your favorite?